Dr. Melanie Royce "Outstanding New Mexico Woman"
Albuquerque, NM—April 26, 2011— A UNM Cancer Center breast cancer expert who has helped New Mexican women access some of the nation’s most cutting-edge treatments for the disease has won the Governor’s Award for Outstanding New Mexico Woman. Melanie Royce, MD, PhD, is one of 20 women from across the state selected to receive the award, bestowed each year by the New Mexico Commission on the Status of Women. The award was created in 1986 to honor women of exceptional achievement whose contributions have improved the lives of New Mexican women and their families. 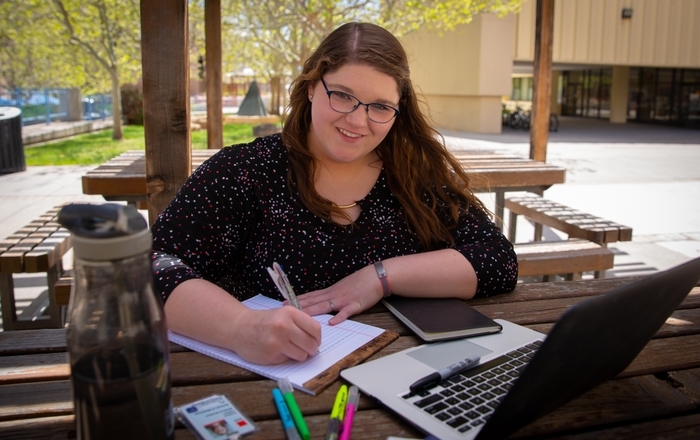 Through her work as a physician, clinical researcher, educator, author, journal editor, community volunteer and more, Dr. Royce has made a difference in the lives of thousands of women in New Mexico and nationwide. 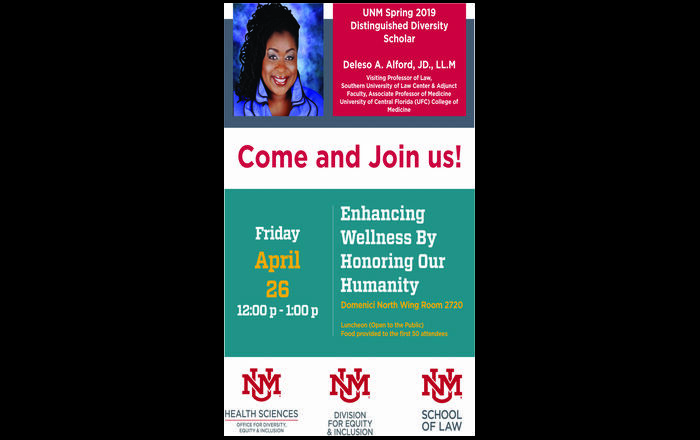 In the words of State Senator Timothy Jennings, who wrote a letter supporting her nomination, Dr. Royce "exemplifies the heart and soul of the people of New Mexico." "This is a wonderfully fitting honor for an extraordinary physician and person," said Dr. Cheryl Willman, Director and CEO of the UNM Cancer Center. "Dr. Royce has been instrumental in ensuring that the women of New Mexico have access to the most cutting-edge breast cancer treatments in the nation. Her dual expertise in oncology and genetics also makes her an unusually effective advocate for the inclusion of New Mexico’s multiethnic populations in important cancer research and for the delivery of world-class, culturally competent care." "I am so honored to receive this award," said Dr. Melanie Royce, UNM Professor of Hematology/Oncology and Director of the Multidisciplinary Breast Cancer Program at the UNM Cancer Center. "It is a privilege to serve the people of New Mexico and work with my colleagues at the Cancer Center to ensure all New Mexicans receive the cancer care they deserve." Dr. Royce joined the UNM Cancer Center in 2004, having previously practiced and taught at M.D. Anderson in Houston, Texas. A national leader in the field of breast cancer, she directs the Multidisciplinary Breast Cancer Program at the UNM Cancer Center, as noted above, as well as heading up the Breast Cancer section in the Division of Hematology and Oncology at the UNM School of Medicine. She also co-chairs the Protocol Review and Monitoring Committee, the body that reviews the scientific merit of every clinical trial at the UNM Cancer Center and its statewide clinical trials network, the New Mexico Cancer Care Alliance. She is an editor of the medical journalOncologyand has had more than 40 papers published in scholarly journals. Dr. Royce has won many national and regional honors for her work, including, most recently, the 2010 UNM Health Sciences Center Clinical Science Research Award; the 2009 National Cancer Institute Clinical Investigator Team Leadership Award (she was one of just 11 awardees nationwide) for her commitment to cancer clinical trials that promise to advance patient care; the 2009 Spirit of Hope Award from the Nancy Floyd Haworth Foundation; the 2007 People’s Caring Award from People Living Through Cancer; and the 2006 Anita Salas Health Professional Award from the Anita Salas Memorial Fund for Breast and Cervical Cancer. She has been recognized nationally and locally as a “top doctor” by organizations including the Consumers’ Research Council of America, Best Doctors, Inc.,Albuquerque: The Magazineand theAmerica’s Top Physiciansedition ofWho’s Who. Her volunteer service to New Mexico includes active membership on the Medical Advisory Board of the New Mexico Department of Health’s Breast and Cervical Cancer Program, as well as leadership positions on the New Mexico Cancer Council, the body that developed theNew Mexico Cancer Plan 2007-2011, a “roadmap” document for reducing the cancer burden in the state. A banquet for the 26th Annual Governor’s Awards for Outstanding New Mexico Woman will be held on Friday, May 6, at the Hotel Albuquerque in Old Town. Festivities begin with a cash bar at 6pm, followed by the banquet at 7pm. Tickets must be purchased in advance of the event. Invited dignitaries include Governor Susana Martinez, former governors and other distinguished guests. For further details, visit the NM Commission on the Status of Women online at www.womenscommission.state.nm.us. 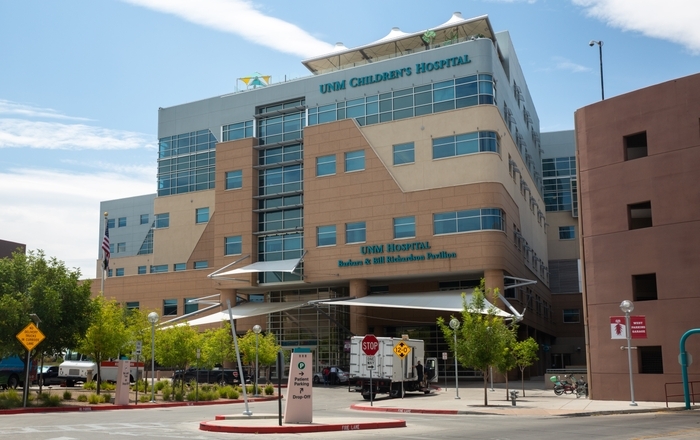 The UNM Cancer Center is the Official Cancer Center of New Mexico and the only National Cancer Institute (NCI)-designated cancer center in the state. One of just 66 NCI-designated cancer centers nationwide, the UNM Cancer Center is recognized for its scientific excellence, contributions to cancer research and delivery of medical advances to patients and their families. It is home to 85 board-certified oncology physicians representing every cancer specialty and more than 125 research scientists hailing from prestigious institutions such as M.D. Anderson, Johns Hopkins and the Mayo Clinic. Dorothy Hornbeck, JKPR, (505) 797-6673, dhornbeck@jameskorenchen.com Audrey Manring, UNM Cancer Center, (505) 925-0486, amanring@salud.unm.edu.